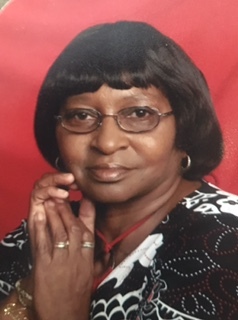 Services will be held for Mrs. Madeleane E. Lewis Cannady Mitchell age 66, of Charleston and formerly of Keystone, who departed this life early on Friday, April 27, 2018 in CAMC Memorial Division. She was born August 22, 1951 in Wytheville, VA and the daughter of Agnes (Albert) and Robert Lewis Sr. She was a graduate of Elkhorn High School and a homemaker. In earlier years, she was employed by Kroger's and at Kmart and until failing health, she worked in the nursing field. While living in Keystone, she was a member of Mt. Chapel Baptist Church. After moving to Charleston, she joined Harvest Time Church of God, where she was a member of the Choir and the Kitchen Committee. In addition to her parents, she was preceded in death by her first husband, Golden Cannady and one son, Brian "Lee-Lee" Lewis. She is survived by her husband, Ben Mitchell; her children: William (Jillian) Lewis, Troy Foster and fiancee', Tabitha Adkins, Marvetta (Harold) Brown, Laquita (Edward) Alexander, Aaron Hood, Marcus (Toya) Ray, Edward (Danika) Hood, Dana Cannady and Terrance Ray; grandchildren: Samuel, Donte', Quanterio, Quazetta, Major, Chantelle, Unique, Imajae, Nathan, Nautica, Elonya, Keishawn, Kobe and Kenneth; great-grandchildren: Akeela, Cheerish, Aden and Braylen; one brother, Robert (Mary) Lewis Jr., sisters, Laura Lewis and Mary Lewis; uncle, Nick Henderson, aunts, Nancy Henderson and Lola Hopkins; a host of nephews, nieces and cousins; her special cousin, Melvin Hopkins. Service will be held at 12:00 noon on Friday, May 11, 2018 at Rock Baptist Church,1408 Bland Street in Bluefield, WV, with Bishop Roy A. Welch, eulogist, assisted by Reverend Earl Rogers. Entombment will follow in Woodlawn Memorial Park in Bluewell. Family and friends will serve as both pallbearers and flower bearers. Visitation will begin at 11:00 a.m., until time of Service at the Church.